While scholars have rightly focused on the importance of the landmark opinions of the United States Supreme Court and its Chief Justice, John Marshall, in the rise in influence of the Court in the Early Republic, the crucial role of the circuit courts in the development of a uniform system of federal law across the nation has largely been ignored. 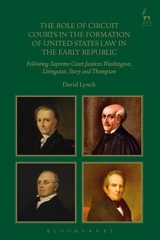 This book highlights the contribution of four Associate Justices (Washington, Livingston, Story and Thompson) as presiding judges of their respective circuit courts during the Marshall era, in order to establish that in those early years federal law grew from the 'inferior courts' upwards rather than down from the Supreme Court. It does so after a reading of over 1800 mainly circuit opinions and over 2000 original letters, which reveal the sources of law upon which the justices drew and their efforts through correspondence to achieve consistency across the circuits. The documents examined present insights into momentous social, political and economic issues facing the Union and demonstrate how these justices dealt with them on circuit. 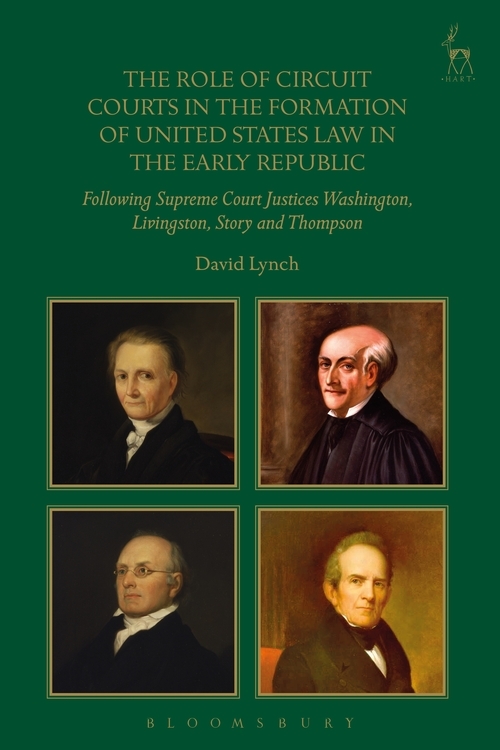 Particular attention is paid to the different ways in which each justice contributed to the shaping of United States law on circuit and on the Court and in the case of Justices Livingston and Thompson also during their time on the New York State Supreme Court. Why Washington, Livingston, Story, and Thompson? Exhaustively researched and admirably argued, this book analyzes the crucial role played by the federal circuit courts in bridging the diversity of the new nation and the need to establish a unified body of national law. It also throws important new light on the internal operation of the Marshall Court. A significant contribution to our understanding of the federal court system of the early republic. David Lynch is a retired English Circuit Judge, an Honorary Fellow and Visiting Research Fellow of Liverpool John Moores University, and a Master of the Bench of the Honourable Society of the Middle Temple.